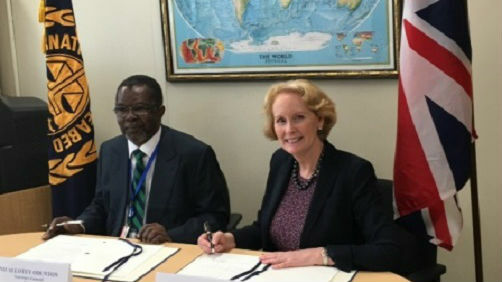 Secretary-General of the International Seabed Authority, Nii Allotey Odunton, and Linda Reiners, UKSRL Managing Director. The International Seabed Authority has signed its first exploration contract for seabed mining for 2016. The deal was signed with the U.K. Seabed Resources Limited (UKSRL) and involves a 15-year contract for the exploration of polymetallic nodules in the eastern part of the Clarion-Clipperton Fracture Zone in the Pacific Ocean west of Mexico. The area allocated to the contractor covers a total surface of 74,919 square kilometers (29,000 square miles). The Clarion-Clipperton Fracture Zone is roughly 80 percent the size of the contiguous United States, and exploration contracts have so far been granted for 25 percent of the area. This latest contract is the 14th contract for exploration for polymetallic nodules in the zone and the second contract for exploration for polymetallic nodules by UKSRL. UKSRL signed its first exploration contract with the Authority in February 2013 for an area of approximately 116,000 square kilometers (45,000 square miles). Last year, the Authority signed five new contracts bringing the total number of contracts for exploration around the world to 23 and another five are expected to be signed by July. Between 1984 and 2011, the Authority issued just six leases for mining exploration. In the last five years, it has granted 21. The permits allow for exploration only, but once certain conditions are met, the leases are expected to roll over into ones that allow commercial-scale mining. The new contracts signed in 2015 were for exploration for polymetallic nodules with Marawa Research and Exploration on January 19, and Ocean Mineral Singapore on January 22. Another was for exploration for polymetallic sulfides with the Federal Institute for Geosciences and Natural resources of Germany on May 6 and two for exploration for cobalt-rich ferromanganese crusts with the Ministry of Natural Resources and Environment of the Russian Federation on 10 March and with Companhia de Pesquisa de Recursos Minerais of Brazil on November 9. The first discovery of polymetallic nodules occurred in 1873 during a voyage by HMS Challenger. The vessel dredged up “several peculiar black oval bodies which were composed of almost pure manganese oxide.” In 1965, J. L. Mero studied the economic possibilities of manganese nodules mining and predicted that the manganese nodule mining should be a sound business proposition in about 20 years. Subsequently, it was discovered that the nodules cover vast areas of the ocean floor but are more abundant in areas off the west coast of Mexico, the Clarion-Clipperton Fracture Zone, in the Central Indian Ocean Basin and in the Peru basin. The nodules are composed mainly of manganese, iron, silicates and hydroxides. However, it is the trace metal contents such as nickel, copper, cobolt, molybdenum and rare earth elements that are attracting most interest. The nodules vary in size from micro-nodules to about 20 centimeters (eight inches), the most common size being two to eight centimeters (one to three inches). They occur abundantly as two dimensional deposits at the unconsolidated sediment-water interface and sometime as scantly buried in sediments. The deposits of economic importance occur mostly at four to six thousand meters depths in areas of extremely low sedimentation rate. Sediment accumulates at the rate of a couple of centimeters every 1,000 years, and the modules can take a million years to grow by a few millimeters. The nodules require a nucleus to start forming. This nucleus could be anything, varying from a piece of pumice, a shark tooth, old nodule piece, basalt debris or even microfossils like radiolaria and foraminifera. Relicanthus sp. – a new species from a new order of Cnidaria collected at 4,100 meters in the Clarion-Clipperton Fracture Zone that lives on sponge stalks attached to nodules. Credit: Craig Smith and Diva Amon, Abyssline Project. Little is known about the marine life of the seafloor in the Clarion-Clipperton Fracture Zone. However, it is known that it contains ecosystems that are rarely perturbed. Under normal circumstances, the deep sea is one of the least changeable ecosystems on Earth. 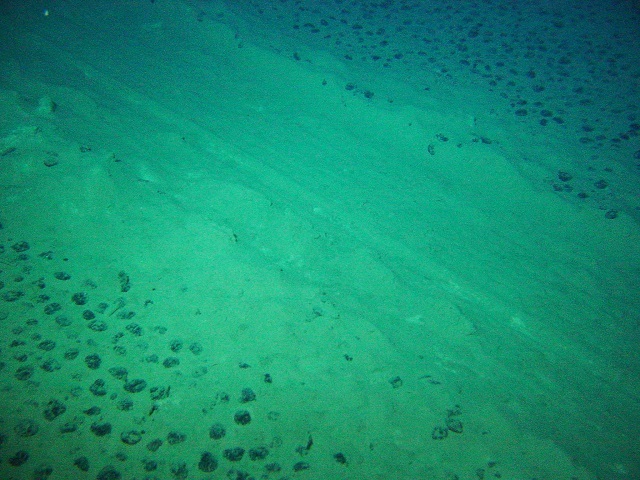 A 26-year old test mining track (1.5 meters (five feet) wide) created at the seafloor of the CCZ illustrating the extremely slow recovery of these abyssal ecosystems from physical disturbance. Credit: Copyright Ifremer, Nodinaut cruise (2004). The Abyssline research project (2013-2018) is currently gathering baseline ecosystem information at the abyssal seafloor of the manganese nodule province in the Zone. A paper published in the journal Science last year says that seabed mining may cause “serious, unpredictable, and potentially irreversible damage” to portions of the seafloor, and many scientists believe that marine protected areas may give the species the best chance of surviving the coming mining boom. 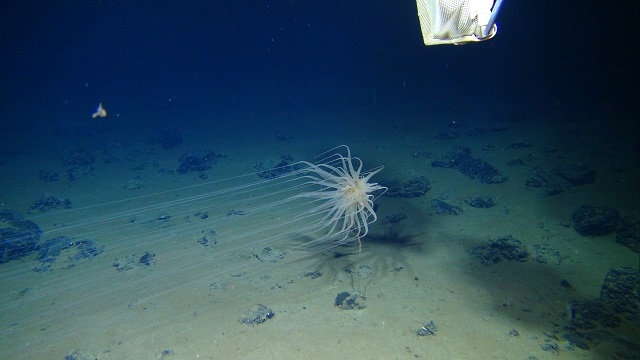 Mining impacts could affect important environmental benefits that the deep sea provides, say the scientists from the Center for Ocean Solutions. For example, the deep sea is important to the Earth’s carbon cycle, capturing a substantial amount of human-emitted carbon which impacts both weather and climate. Mining activities could disturb these deep-sea carbon sinks, releasing excess carbon back into the atmosphere. The deep sea also sustains economically important fisheries, and harbors microorganisms which have proven valuable in a number of pharmaceutical, medical and industrial applications. The Authority is expected to decide this summer whether to accept protected areas proposed in 2013. The areas would nearly 1.7 million square kilometers (650,000 square miles) of the Zone. Elsewhere in the ocean, mining companies are preparing to mine the mineral-rich structures that form around hydrothermal vents. The first such project, by Nautilus Minerals, will be in the territorial waters of Papua New Guinea and is expected to begin in 2018. The Authority, which has its headquarters in Kingston, Jamaica, came into existence on 16 November 1994. The International Seabed Authority is an autonomous international organization established under the 1982 United Nations Convention on the Law of the Sea, and the Authority has been entrusted with the implementation of the “common heritage of mankind” which applies to mineral resources beyond the limits of national jurisdiction. This upholds a vision of sustainable development of mineral resources in the international seabed area and the sharing of benefits and responsibilities for all States, including the land-locked and geographically disadvantaged States. The Clarion-Clipperton Fracture Zone is a geological submarine fracture zone of the Pacific Ocean, with a length of some 7,240 kilometers (4,500 miles). It is one of the five major lineations of the northern Pacific floor, south of the Clarion Fracture Zone, discovered by the Scripps Institution of Oceanography in 1950. The fracture, an unusually mountainous topographical feature, begins east-northeast of the Line Islands and ends in the Middle America Trench off the coast of Central America. It roughly forms a line on the same latitude as Kiribati and Clipperton Island. Can investors take Bougainville Copper Limited seriously? There is a saying investors in Bougainville Copper Limited should heed, ‘fool me once, shame on you; fool me twice, shame on me’. Unfortunately whoever penned this phrase, never thought of what to say when it gets to fool me three times! Over the past three years, BCL has assured investors that landowner hearts in Panguna are gradually warming to the company, despite BCL’s well documented role in assisting a war machine that bombed, executed and tortured civilians. According to BCL, this cooling of tensions in Panguna lays the ground for Bel Kol, a reconciliation ceremony that will evidently mend bridges between the company and landowners. ‘This historic and sensitive [Bel Kol] ceremony, long discussed and unfortunately somewhat delayed by various factors, aims at bringing reconciliation between Bougainville Copper, landowners, ABG, ex-combatants and community leaders. 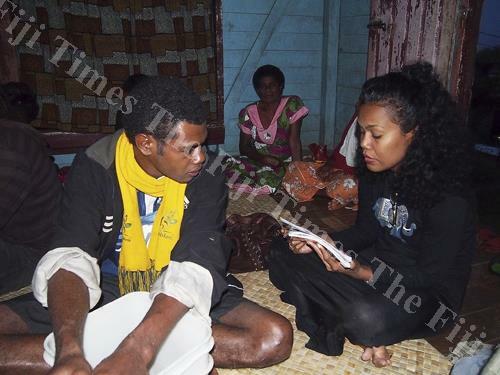 Bel Kol is proposed to be held at Arawa, and may be conducted during the month of May ’. ‘After the Bel Kol ceremonies, in which company management will participate, three conflict memorials will be erected. In return, Bougainville Copper has asked for open access to Panguna and the Special Mining Leases, assurances of safety, and a written invitation to establish an office in Arawa as a base for the field work, baseline studies and social mapping mentioned above, and for the recruitment of local people to participate in drilling and other evaluation and de-risking programs’. So did Bel Kol take place in May 2014 as predicted? Nope! ‘A Bel Kol ceremony with the company is at the advanced stages of planning and is expected to take place in Arawa during 2015’. Did Bel Kol take place in 2015? Nope! Fast forward to BCL’s 2015 Annual Report [pdf file]. Have a guess what they tell investors! ‘Planning of a Bel Kol event, a customary Bougainvillean process to be held between the company and the people of Bougainville, was further postponed to allow additional time for stakeholder engagement and alignment. Bel Kol is now planned to be held in 2016’. None of these delays are surprising, landowners have frequently, loudly expressed their strong opposition to BCL’s return – over and over again. Having your home torched and family beaten by troops in BCL trucks, lingers long in people’s memory. Yet, BCL seems confident its investors lack the same recall. Although investors may be seeing little joy, despite the assurances of management, BCL’s illustrious Directors are doing rather well for themselves. The former PM who bombarded civilian areas in Bougainville with heavily armed troops and mobile squads, Sir Rabbie Namaliu, was awarded K150,000 in compensation as Director for the year 2014, and in 2015 he received K135,000. Dame Carol Kidu was awarded K150,000 in 2014, and K135,000 in 2015. Robert S. Burns was awarded K150,000 in 2014 and K135,000 in 2015. Last but certainly not least, Peter R. Taylor received K478,000 in 2014, and K501,000 in 2015. We are also told, ‘in 2015 the company paid fees of K4,196,032 (2014: K5,048,151) for the provision of office space, staff and related services to Rio Tinto PNG Limited’. While BCL management pronouncements on Bel Kol have assumed a mirage like quality, it appears executive payments are being deposited each year with much greater reliability. Have you heard of mine birds singing? Long ago, miners took canaries into coal mines to warn about the presence of poisonous gases. As long as the birds lived, people lived. Indigenous people are like coal-mine canaries, except that we are not brought into the mines — the mines are brought to us. Our ancient indigenous homelands are located in present-day British Columbia and Alaska, considered part of the Arctic Nations. We are connected through water, culture, salmon, oral history and complex family bloodlines. As indigenous peoples, we now unite to address the urgent and far-reaching impacts of unbridled mining activities in B.C. We now “sing” of threats to our existence. We have already felt the sting and suffering of a major mining disaster in B.C. 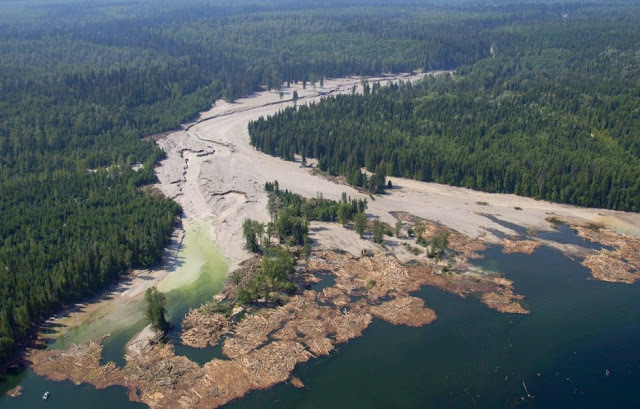 in 2014 at Imperial Metals’ Mount Polley Mine, that left us reeling in fear for our future, clean water and wild salmon. The preventable disaster released 6.6 billion gallons of mining waste into Quesnel Lake and the Fraser River watershed, home to one of the world’s largest salmon runs. For the first time in history, indigenous families along the Fraser River did not harvest salmon, out of fear of mining contamination. Despite it being the worst environmental disaster in Canadian mining history, no charges or fines have been laid against the company. Instead, B.C. granted the company a temporary re-opening permit that created new potential for another breach during spring snow melt. Their solution? Authorize ongoing discharge into Quesnel Lake. This “business as usual” approach to mining must end. We maintain a long-term approach to our way of life, considering beyond our own lives, ahead to seven generations of grandchildren. We acknowledge our stewardship responsibilities and have already mobilized to work together, across political borders, to protect clean water, healthy salmon and flourishing wildlife by addressing mining threats in a proactive and collaborative way, to ensure our collective future well-being. Do you hear the mine birds singing? We share a vision of the future: fresh, clean water, wild salmon, healthy and vibrant communities thriving for millennia. Let us put safety before profits and implement the independent Mount Polley Report recommendations. Let us reinstate critical fisheries habitat protections under Canada’s Fisheries Act. International solutions and higher standards will benefit everyone. We advocate for world-class stewardship and mining policies based on best practices and best technologies, such as that of the Northern Secwepemc, which has taken the industry by storm. In Alaska, the United Tribal Transboundary Mining Work Group calls for the U.S. government to uphold its fiduciary trust responsibility to tribes. We seek a binding agreement between indigenous and federal governments with seats as equals at the decision table. Indigenous peoples from Alaska and British Columbia are rekindling ancient ties to bring together First Nations and tribes. At the end of April, we will meet on Prince of Wales Island in southeast Alaska, where we will collaborate to unify our strategies and actions to protect the vital resources we share with each other and the world. We welcome Trudeau and Obama to attend. Please hear us. We sing for our changing Earth. We sing for our way of life. We sing for all of us. Join our chorus. Together, stronger and louder, we will inspire the world to keep the forest mine birds singing. * K’yuuhlgáansii Frederick Olsen, Jr., Haida, is chairman of the United Tribal Transboundary Mining Work Group (a consortium of 14 Southeast Alaska Tribes). Nuskmata Jacinda Mack, Secwepemc and Nuxalk, is the co-ordinator of First Nations Women Advocating Responsible Mining, a coalition of indigenous women addressing mining impacts in British Columbia. 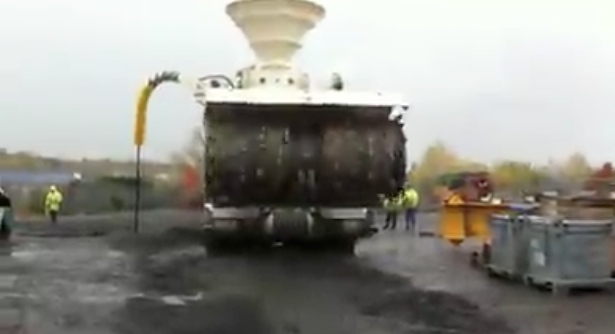 Giant remote controlled machines will strip mine the sea floor – but is that a good idea? The Pacific Community says it is still not clear whether the potential economic benefits of sea bed mining will outweigh the negative effects on the environment and on local livelihoods. The comments come after the SPC’s proposed legal and regulatory framework on sea bed mining was accused of neglecting indigenous and environmental safeguards. Koroi Hawkins looks at some of the pros and cons of the industry. According to the company involved, in 2018 Papua New Guinea’s Bismarck Sea is set to host the first ever commercial deep water mine operation. The director of the Pacific Community’s [SPC’s] geoscience division, Mike Petersen, says Nautilus Minerals’ Solwara 1 project will set the tone for the future of the industry. MIKE PETERSEN: They will be the pilot everyone will be looking at them not only the people we are talking about here, you’ll have the NGO’s who may not wish this development to happen but also industry will be looking at it, government will be looking at it, environmentalists will be looking at it the fishing industry and others will be looking at it so it is under a lot of scrutiny actually. But an outspoken PNG opposition MP, Gary Juffa, who is the governor of Oro province, says the Solwara 1 project is being steam-rolled by the government without any consideration for relevant regulations or legislation. GARY JUFFA: There is no legislation that would allow the government or the communities to have avenues by which they can review, monitor and take action if necessary or penalise etc, nothing at all. You know, here we are embarking on this project completely blind. One regional NGO strongly opposed to the Solwara 1 project is the Pacific Network on Globalisation. Its coordinator, Maureen Penjueli, says there are too many unknowns and seabed mining legislation in Pacific countries is either non-existent or insufficient. MAUREEN PENJUELI: If you look at advanced jurisdictions like New Zealand and Australia it is very clear that when they apply the law in relation to sea bed mining it sets out very precisely. What it means for for indigenous peoples what is means for environmental protection etc. So we believe very strongly that at this particular point in time in history the Pacific is not their yet to pursue seabed mining. Mike Petersen says as a regional scientific body the SPC is neither pro- nor anti-seabed mining. But he says as to the viability of the industry studies indicate seabed mining could be a profitable undertaking for Pacific countries and he suggests it has a comparable industry in the offshore oil sector. MIKE PETERSEN: In the 1970s underwater petroleum extraction was considered to be science fiction and something which humans would never make money from or maybe could never achieve. If petroleum the petroleum industry can succeed then why not the mineral industry given technological advances, advances in robotics and so on and so forth. PNG’s Gary Juffa however says in the blind push to get the project up and running the views of local indigenous peoples have been ignored. GARRY JUFFA: Are we to just sit back and despair and moan and groan and whine and there is the government no longer serving its people but serving corporate pirates. Is this the situation now that we must accept?. These are questions that people are asking, you know, the people of the Pacific. Other countries in the region interested in seabed mining are Tonga and the Cook Islands with the latter currently in direct talks with several companies after an open tender last year failed to get any bids. VILLAGERS of Wainunu have expressed through a survey the need to protect their natural resources. The survey, “Wainunu Scoping Report”, conducted by the Bua Urban Young Professionals Network in October last year, indicated that 100 per cent of participants from six villages felt the need to protect their natural resources. A comment that came out strongly from villagers during the survey was that they had survived for centuries without mining and they did not see a need to begin now. The survey stated those who wanted to protect the resources gave their reasons as “…for the sake of the future generation”. 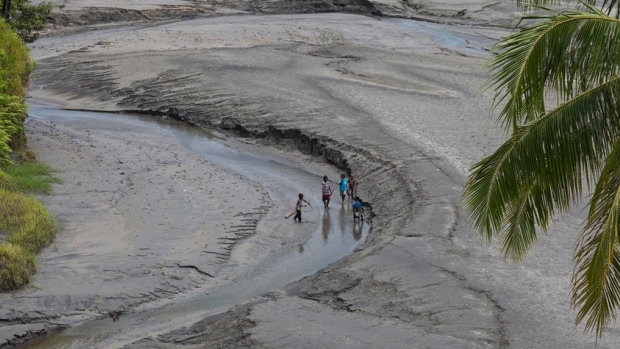 “In addition, they shared that villages situated in the highlands were concerned about the impacts on coastal villages because they were all family and would not want to add to existing challenges,” the survey stated. “They even shared that they had witnessed the impact of bauxite mining in Nawailevu and do not want that to happen in Wainunu. In addition, 95 per cent of those interviewed could not put a monetary value to their natural resources labeling it as too precious to have a dollar value. The survey was conducted in Cogea, Daria, Nadua, Nakawakawa and Navakasali villages. “I was at a conference in Manilla a few years ago, a mining conference, and there was someone from the Asia Development Bank there talking to us about the future of the mining industry. Cultural Anthropologist Stuart Kirsch spent decades working with native peoples living along the Ok Tedi River, in Papua New Guinea, trying to oppose the social and environmental threats posed by the enormous Ok Tedi open-pit copper mine situated near the river’s source. The mine is at the centre of one of the worst environmental disasters in the world. 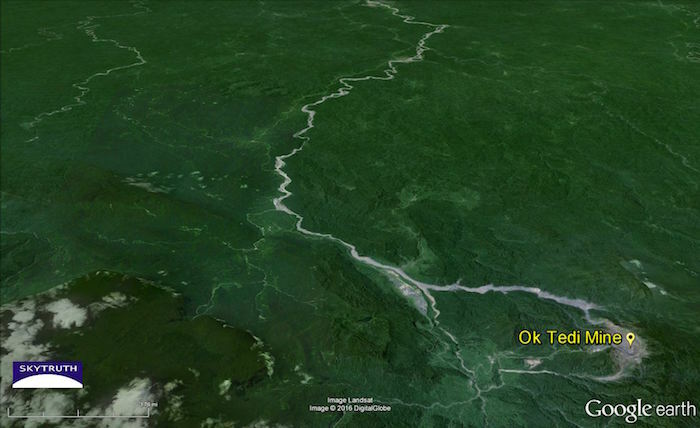 Tailings from the mine have polluted the Ok Tedi River, and devastated a huge area of previously pristine and virgin jungle. People in the tribes who live along that river will never be the same. Their home was once a rich a verdant paradise. It now looks more like the surface of the moon. In a recent radio interview Kirsch spoke about what they learned in the process of taking on a multi-national mining giant; how mining companies strategically exploit science and what the people of PNG taught him. * Stuart Kirsh is Professor of Anthropology at the University of Michigan in Ann Arbour. His book, Mining Capitalism: The Relationship Between Corporations and Their Critics, is published by the University of California Press.